Only Black and Silver in stock - Other colours coming soon. Perfect for Sub Ohm vaping. Massive 4500mAh Battery. 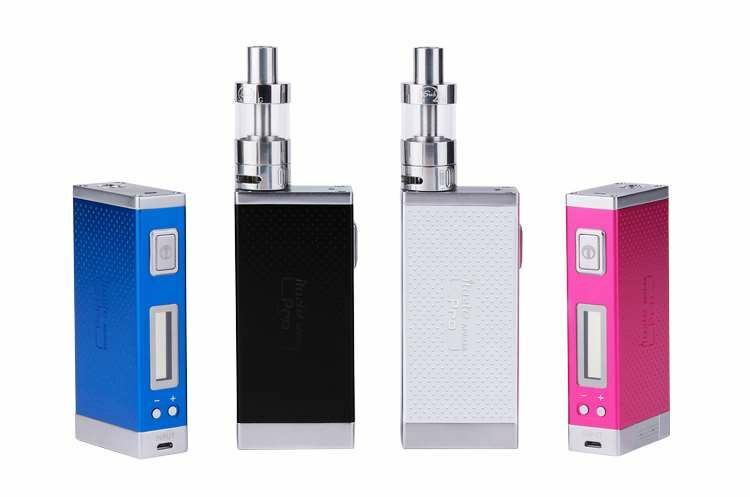 This is ready to vape full kit NOT JUST BATTERY, includes Innokin iSub G Tank. All you need is eliquid to get starter with Sub Ohm Vaping. The iTaste MVP 3.0 PRO is the newest premium high powered vaporizer, available today from Innokin Technology. Our teams of expert engineers and designers have packed the MVP 3.0 PRO with the most advanced integrated vaping technologies to create the perfect full size, high power vaporizer. With an awesome maximum range of 60W of vaping power, the MVP V3 PRO fires a full range of tank resistances, has extremely durable standard tank threading and a legendary capacity for resilience. The large bright OLED screen clearly displays all important information and the menu is quicker and easily accessed with three sturdy buttons. With 4500mah of battery capacity you will be vaping for days between recharging and the MVP3 PRO continues to function as a portable mobile and electronic charger with an integrated Micro USB cable! When you need real power your MVP3PRO will be there for you. The MVP V3 PRO Vapes Perfectly with the iSub to give you precise control for perfect flavors and unbelievably huge clouds. The MVP V3 PRO is available in Silver, Black, Pink, Blue and as well as an exclusive new MVP 3 PRO Premium Gold Edition. The Innokin iTaste MVP V3 PRO is your #1 choice in a full size high powered vaporizer. Why? Made with the highest quality materials the iTaste MVP3.0 is designed to be your powerful and reliable every day vape. Initially available in four sleek designs the iTaste MVP3.0 has a flush 510 thread connection with a gold plated spring loaded positive pin, durable stainless steel threading and an included ego threading adaptor for maximum compatibility. The iTaste MVP 3.0 PRO is capable of firing builds ranging from 0.2 – 2.5ohms. An all new rich OLED Screen provides full readouts for battery life, output and real time ohm reading. Impressively powered by an internal 3800mAh battery with 1 amp charging and “Vape While Charging” pass-through technology ensure a long battery life with little downtime charging . The large OLED screen clearly displays all important information including tank-coil resistance (Ohm), wattage & voltage and remaining battery power. The intelligent two button interface makes it easy to quickly find and set a precise power output to give you a perfect vape of flavor and clouds. Pushing the two buttons together displays the secondary screen with an Ohms meter, battery level indicator and puff counter. You should never have to wait to vape and the iTaste MVP3.0 PRO is charged via a side micro-USB port and features Innokin's 'Vape while charging' technology so you can always be vaping. The iTaste MVP 3.0’s integrated Micro USB Cable at the base and DC5v/1A output port also make it perfect to be used as a powerful portable power source. The iTaste MVP 3.0 PRO is a powerful, reliable, durable and safe, device for all your vaping needs. Advanced safety features including 15 second firing cutoff, low voltage warning, atomizer short circuit protection and over discharge protection means you can vape with confidence. You can use the MVP3.0's high capacity 4500mAh internal battery to charge your electronic devices via the replaceable integrated micro-USB charging cable or USB port. Red = Low Power. Charge the MVP3.0 PRO. The iTaste MVP3.0 PRO is recharged with a Micro USB cable. When plugged into a power source the iTaste MVP3.0 can also be vaped and charged at the same time with Innokin Technology’s ‘Vape while you charge’ pass-through technology. When the iTaste MVP3.0 PRO is turned off it will remember the current voltage or wattage setting and it will retain the setting when the iTaste MVP3.0 is powered on. To charge your portable electronic device with the iTaste MVP3.0 plug the built-in Micro USB cable into the electronic device and power on the MVP3.0. The included iTaste MVP3.0 PRO starter kit charging cable can also be used. Plug the larger USB port into the MVP3.0 and the Micro-USB into the electronic device and power on the iTaste MVP V3.0. PRO You may only charge one electronic device at a time. Do not attempt to charge more than one device at the same time or you may damage the device. The iTaste MVP3.0 510 threading is compatible all standard 510 clearomizers & atomizers including the iClear 30B, iClear 30S and Nautilus. Ultra-Powerful! Fires 6-60W! / 3-9V with a Maximum Output of over 17.5Amp! The Longest Lasting: 4500mAh hour battery!!! Sleek Finish: Initially available in the Silver, Black, Pink, Blue and a Premium Gold Edition. Precise: RMS DC current accurate to a power deviation of 0.5W and fires from 0.2 - 3.1Ohm. Always Ready: Charge the MVP3 PRO with a standard micro usb cable and vape at the same time with Innokin's "Vape while charging" technology. Trusted and Powerful: If you need to vape or need more time on your phone - always have power with the Innokin iTaste MVP3PRO. Unique: Every iTaste MVP3 PRO has an easily accessible unique ID on the board for easy product authentication . Maximum connectivity is made possible with the High Quality Flush 510 Stainless Steel Threading & Spring Loaded Gold Plated Positive Connector Pin. A top quality Ego adapter is also included. The Innokin MVP3PRO has Total Tank Compatibility and vapes well with all major, standard 510/Ego ecig/vaporizer tank systems. 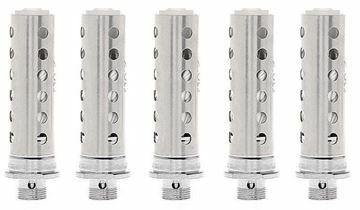 Note : can be used with Sub-Ohm atomiser lowest 0.2 Ohms. Please note: Our kits do not include eliquid. Eliquid must be purchased separately in order to use this device. It will work with any iClear 30S, iClear 30B, Kanger Protank, Kanger Aerotank, Aspire Nautilus, Kanger Subtank, Aspire Atlantis.